If you’re looking to find casinos where you can play Free Live Casino games, you’ve come to the right place. I’ve researched all the casinos and software providers. Only one supplier, NetEent, has live casino games you can play for free. BUT and it’s a big but, virtually no online casinos has the facility switched on. At VideoSlots you can play Live Roulette and Live Common Draw Blackjack for a few hands using play money. Once the free spins and hands are used up, you’ll have to deposit to carry on playing. All you’ve got to do is signup then enjoy playing your Live Dealer games for free. If you don’t mind playing RNG games, Royal Panda has a selection of table games you can play for free. Personally I use these if I’m practicing, learning or trying out new strategies. Then I head for the real live dealer tables. I think it’s sometimes a big ask to expect people to pay for something when they haven’t tried it out before. You wouldn’t buy a car without taking it for a test drive or buy a house without looking around it. That’s why I’ve been keen to find casinos where you can view and play a few live casino games for free. Try before you buy. Then you can make a decision to play with your own money. Some casinos would make you believe they have free play. These are the sneaky ones. They use a marketing trick that offers “free money” through a deposit bonus. While technically it’s free money, you still have to risk your money to get it, so it’s not Free at all! Watch out for these. There is absolutely no reason to deposit anything if you want to play some live casino games for free. Why doesn’t every casino offer free play for live dealer games? Demo mode for live casino is certainly available but most operators have chosen to switch it off. Perhaps the operators think that providing Free View access is good enough. Can I play Live Casino games for Free now? Back in 2013 it was easy, you could rock up at some online casinos, click on the link, select fun money and away you go. However, that’s not possible now. To access Free play mode you’ll need to register an account first and then you’ll gain access to the free play functionality. I think it’s a fair exchange for offering the facility. The Casino gets your details and email address for future marketing and you get access to the games. Just remember to use your correct details if you fancy playing for real money in the future. If you don’t you may have a nasty surprise when you come to withdraw any winnings. Also, remember to opt out of communications, if you want to stop future marketing emails. What Live Casino Games can I play for Free? Currently only one provider, NetEnt offers Free play access. However only one casino has the facility switched on. Two games are currently available. 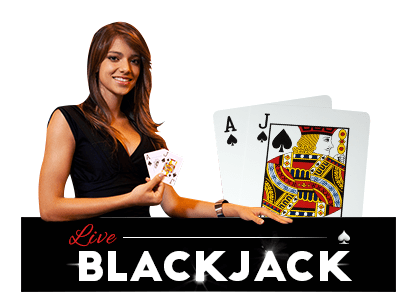 Live Blackjack with a full range of Side Bets. 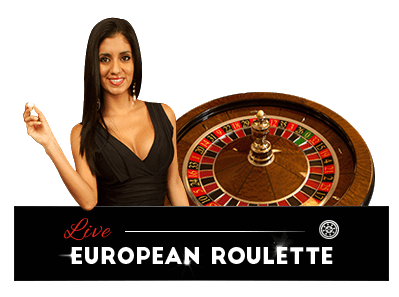 Live Roulette – Both American and European. Yes there are restrictions when you play for free. You’ll be given a fun balance. When this is gone it’s gone, so use the balance wisely. Keeping your bet sizes small will you help stretch out the length of time you can play for free. You won’t be able to chat to the dealer or other players. This facility is reserved for real money players only. Demo money and winnings cannot be withdrawn. That’s kind of obvious but it has to be said :-). What are the benefits of using Free Play? Everyone will have a different reason for wanting to experince playing table games with a live dealer. These are some of the reasons why you might want to use Free Play. You’re learning how to play Blackjack, Roulette or Baccarat and you want to practice. To practice & test playing certain betting strategies without risking your own money. You’re not quite sure how everything works so you want to experiment. You want to build your confidence by playing the games before parting with your own money. Familiarising yourself with the options in the playing interface. Getting used to playing Live Roulette, Live Blackjack and Live Baccarat with a Live Dealer. Using Free play to learn how to play before visiting somewhere like Las Vegas or your local land based casino. No one will know that you’re a playing with a demo balance. You’ll be treated exactly the same as a regular player, so the experience you get will be real and authentic. Free Play Live Blackjack is the best place to practice your playing skills when you’re learning how to play Blackjack. There are loads of free blackjack simulators available, but if you’re considering playing with a live dealer or even in a real casino, some of your practice time should be spent using the Free Play option at a one of the live casinos I’ve already mentioned. You get to experience the pace of play and playing alongside other players, which you just can’t get when playing against a simulator or computer program. There’s also loads of other benefits of using free play. Learn how to play live blackjack for free and with no risk. Try out Basic Blackjack strategies, perhaps play some hands using your gut feel and then use the strategy and compare the results to see how you fare. Do you play Pairs and 21+3 side bets together or separately? Mix it up and try different playing styles, like being cautious or aggressive. You’ll quickly learn what’s best for you and how playing them affects your Bank Roll. There’s lots you can learn, just make sure you take note of what works for you for when you play for real money. I’ve noticed that when I play side bets they hit in blocks, randomly or sometimes never and that can have an impact on my Bankroll. That’s something else to factor in when developing you’re playing strategy. I like to experiment with raising and lowering my stakes when I’m on winning and losing runs to see what that does to my bankroll. If you like to count cards it’s useful to see if it works when playing with a live dealer. Playing Roulette in Free play mode is very liberating. From experience, I play a lot looser and place bets I wouldn’t normally place when playing for real money. So, while I’d encourage you to try different types of bets and do things you wouldn’t normally do, try a keep a clear head and remember you’re using free play to learn, not just to have fun. For me, the most complicated part of roulette is the different types of bets you can make. Roulette is all about betting and playing strategies, so make the most of free play to test them all out. Try making Outside bets (they’re the Even/odd, Red/Black type bets). Get a feel for where to place your chips and even try combination bets where you bet Red and Odd or Black and Even etc. Outside bets are normally used if you’re using a documented Roulette Playing strategy. There are loads of them out there. This is your one opportunity to try a Roulette strategy without risking your own money. You’ll learn how well they work, how large your bankroll needs to be and how long it will last. Experiment placing bets using the Racetrack. This is a visual representation of the numbers as laid out on the wheel. The Racetrack is used to help you place bets on all the numbers in a certain section of the wheel. These are very popular bets, especially if you’ve picked a section where the ball seems to land in often! Playing a neighbour bet is where you bet on one number and its neighbours on the wheel. Sometime you have the option to select the number of neighboring numbers to bet on. For example you might select the number 15 and its two neighbours, which will cover 5 numbers. You can also place single number bets on lots of numbers. I see lots of people doing this, they may cover up to 75% of the table, but they will be using a strategy of favourite numbers and neighbours. This strategy needs a big bankroll and some big Balls. I’ve seen some massive wins using this technique and also some huge losses. So be mindful of how much money you’re willing to bet per spin from your bankroll before trying this technique. I love Free Play Baccarat. The game is all about the betting. For certain players types it’s also about the history and superstition. 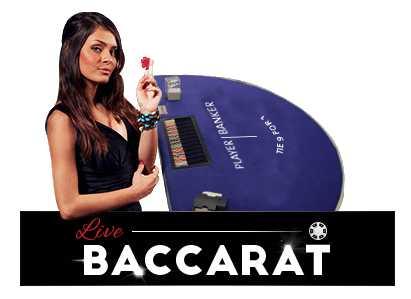 Players have no say in how the hand is played out in Baccarat. You have three betting options – Player, Banker or Tie. There are some additional side bets that can be fun to play and I’d certainly encourage you to try them out in free play. The main area to concentrate on is the Baccarat Roadmaps and how they can help you make decisions about your bets. Baccarat is a game of trends, you’re trying to identify a trend as it’s happening or predicting when one will happen so you can bet it. I’ve done lots of research and have developed a betting strategy for Baccarat. I used free play to test it out before using it for real. How successful it is time will only tell, but it’s given me a way of playing Baccarat with a purpose. I have a plan and I execute it. I win, I lose, that’s the nature of Gambling! NetEnt are a bit of a surprise and I only recently found that Video Slots offer free play live games. You get a €90,000 balance for free play games, but can only play a few game rounds on Roulette or the Unlimited Blackjack Table before the free play option disappears. I’d advise playing here only if you want a few spins to see what a NetEnt live table is like. For long term playing use the RNG tables at Royal Panda. Where can I play live casino games for real money. You can play at the casinos where you’ve tried out the games. Alternatively I’ve produced a list of the Best Live Casinos. These are my recommended casinos and they are all good. Any of theses will provide you with a great playing experience and some offer a wider variety of games than just the 3 free play ones. My live casino reviews also give loads of information about particular casinos, the games they have and how they perform.